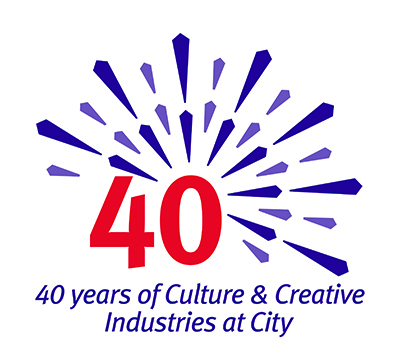 The Centre for Culture and the Creative Industries (CCI) is celebrating 40 years of education and research at City. A series of events is being held to mark the anniversary and bring together alumni, students, academics and former staff. Cultural and creative industries education began at City with the launch of a postgraduate diploma in Arts Administration in the mid-1970s. The course featured an innovative combination of detailed study, industry secondments and close collaboration with the Arts Council of Great Britain. Today, the centre runs the Cultural and Creative Industries BA – the only one of its kind in the UK – and the internationally-renowned Culture, Policy and Management MA. PhD students from City’s Culture and Creative Industries PhD/MPhil also continue to produce outstanding and innovative intellectual work. Professor Andy Pratt, Director of the centre, said higher education had changed significantly since the 1970s, with student numbers increasing from 621,000 to 2.5 million in 2008. “During the years, we have also experienced changes – moving through a range of differently-named courses and titles, from Arts Policy and Management to Cultural Policy, Creative Enterprise, to Cultural and Creative Industries,” he said. The celebrations kicked off with a party at Jerwood Space, attended by alumni and current and former staff. Over the past four decades, cultural and creative industries study has experienced many changes – moving through a range of differently-named courses and titles, from Arts Policy and Management to Cultural Policy, and Creative Enterprise to Cultural and Creative Industries. In 2016, CCI moved into the Department of Sociology. This followed the split of the Department of Music and the Department of Culture and Creative Industries, which were formerly sister departments within the School of Arts and Social Sciences. Read the CCI blog for the latest news from the centre, or visit its website for more information on its courses and 40th anniversary events.